I hope today find you well! I am sharing a few cards made with my Tonic Studios Craft Kit #15. 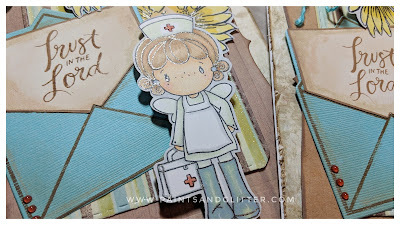 Let's just say I wanted to get my feet wet with this kit, and I decided to incorporate some of the lovely dies into some much needed cards. 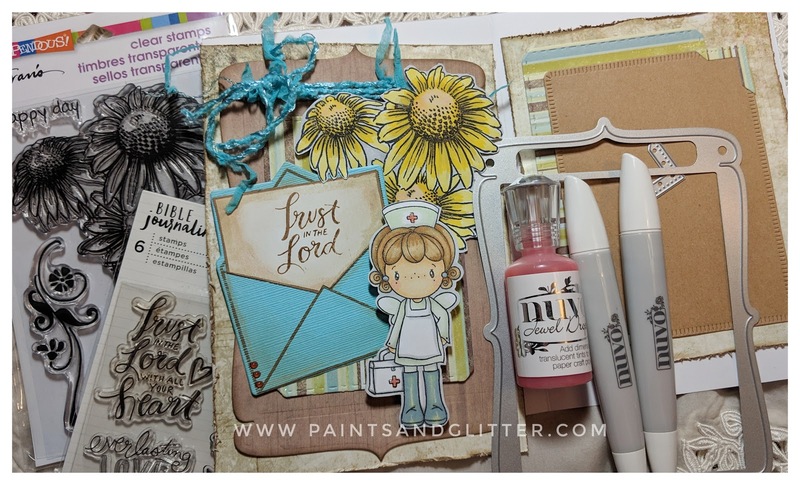 Here is a peek at most of the items I used on this card! WOW! It looks like a lot, but this is because I LOVE to use what I have. 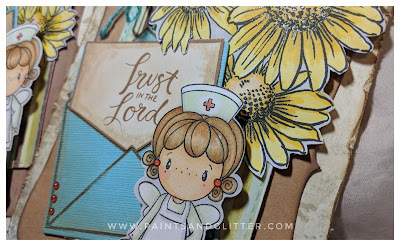 The image of the little nurse has been in my stash for YEARS! There are several layers on the front and inside of this card. 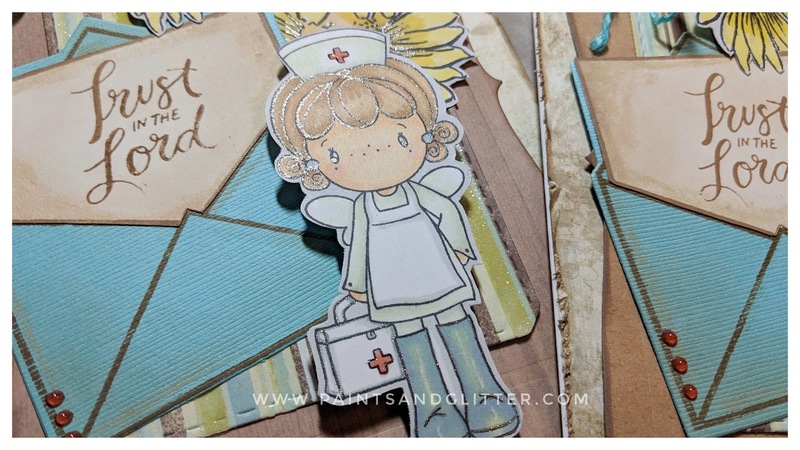 For the background, I selected a soft green and blue card that I distressed and inked on the edges. On top of that, I used Kraft card that I cut using the book cover die, and also inked to make sure it had the same look throughout. I used some lovely stamps that I colored using Nuvo Alcohol markers, and even added some earrings with Nuvo Jewel Drops. This added a delicate shine to my stamped image. The sentiment is a partial Biblical verse from American Crafts, which I also love to incorporate into my gifts and cards. It was finished off with some glimmer, and a yarn bow for softness in a lovely bright blue. The colors in this card set were all cohesive, and made it easy to keep incorporating different hues and textures. Watch my video for more pointers!